All the way from Australia, Original & Mineral or O&M specialises in clean products with low chemical formulas, and the brand counts Miranda Kerr, Rachel Zoe and Cameron Diaz among their celebrity fans. 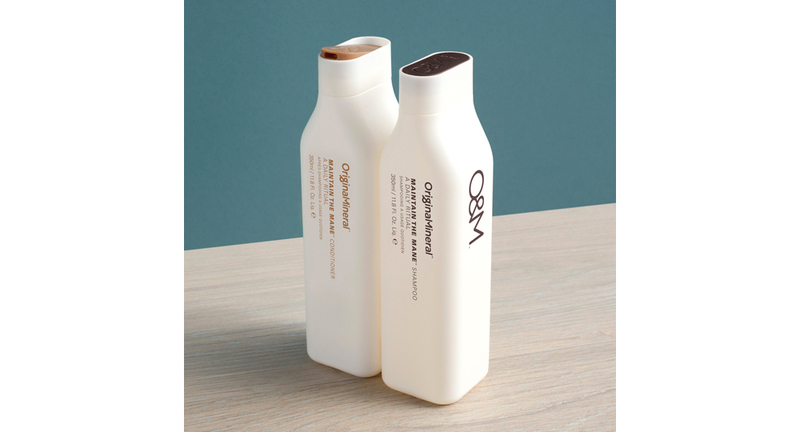 The O&M Maintain the Mane Shampoo and Conditioner is the perfect every day hair care regime, formulated with Banksia Flower which is rich in protective antioxidants and amino acids, O&M products are available via Net-A-Porter, Selfridges and Space NK. Original & Mineral are kindly giving away a bottle each of their Maintain the Mane Shampoo and Conditioner, worth £49 together. To be in with a chance of winning, just enter via the Rafflecopter widget below! This giveaway is open internationally, and it will run for four days only. Good luck! These look so nice. I love the minimalist packaging. This has been such an awesome giveaway so far! I’d really like to try this, it would be wonderful for my dry hair because I’m constantly changing the color. The packaging is very cool too. This sounds like a BRILLIANT product, would LOVE to try it! Thanks for the giveaway, and HAPPY Christmas!! Wonderful, my hair could do with this. Wow these look really nice! These sound fabulous, would love to try them. Yay for low chemical hair products!! Another fab prize. Not that I could afford £49 for hair products so my hair will feel like a princess if I win. sounds wonderful thank you both! Ooh, love the look of these! Merry Christmas? ?